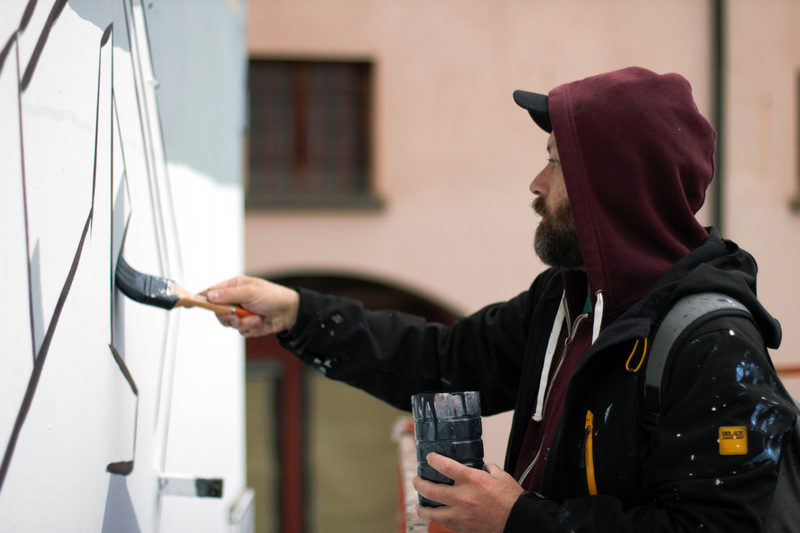 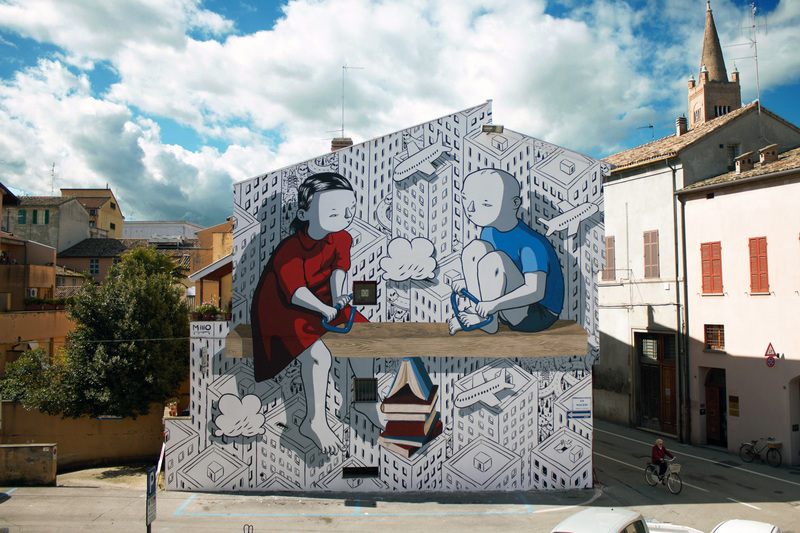 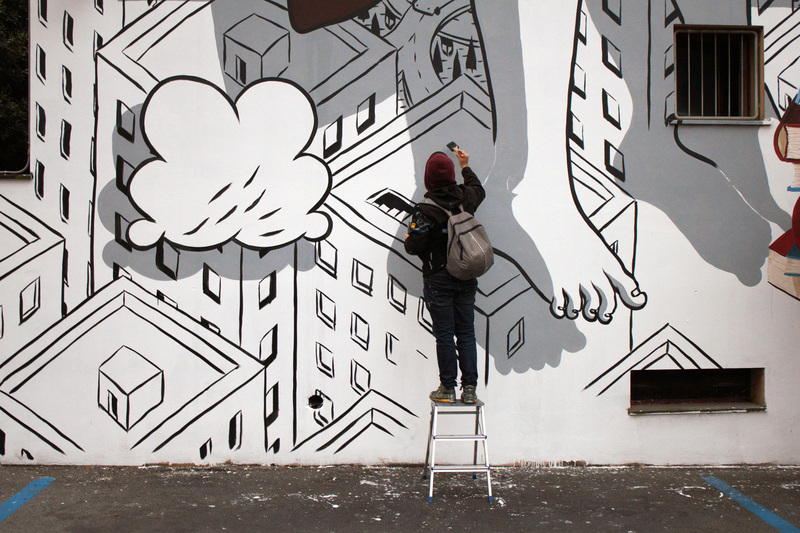 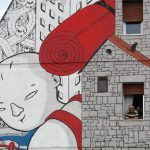 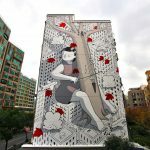 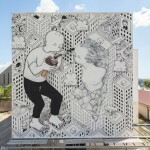 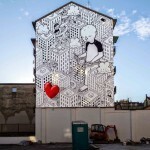 The Murali Street Art Festival curated by Bonobolabo collaborated with Millo to create a new mural on the streets of Forlì, a city in Italy’s northern Emilia-Romagna region. 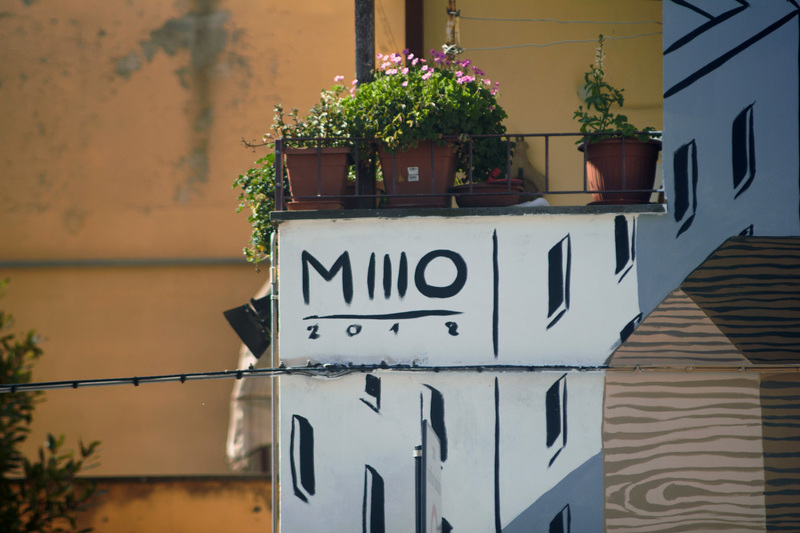 Painting during the 70th anniversary of the Italian Constitution, Millo sent along the following quote to illustrate the idea behind is painting. 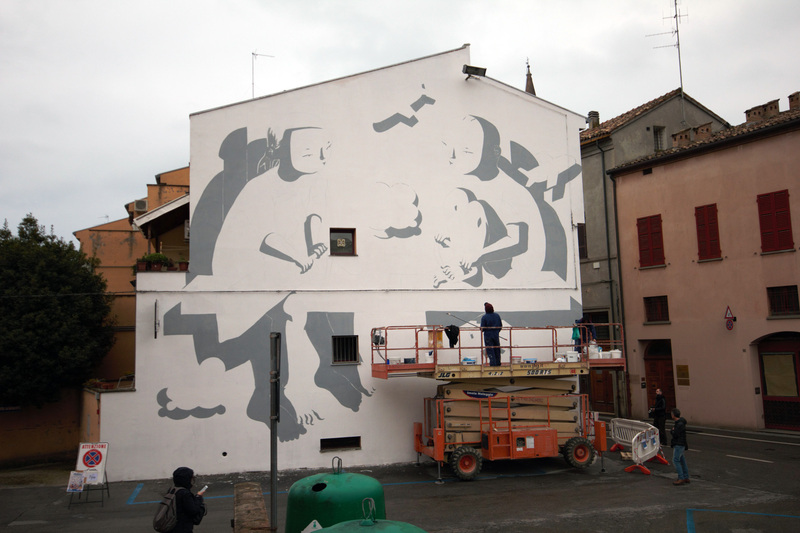 More high resolution progress images of this wall by Marco Miccoli can be found below.